Superhero suits never look as good in set images as they do on the big screen. But that didn’t stop the Shazam! suit from causing some minor outrage when leaked set photos of the upcoming Warner Bros. film showed a bulky, goofy-looking costume. And the internet did what the internet does best: cry doom. But when the first Shazam! trailer hit, the comic book movie proved that those fears were unfounded. How could the suit look so different between the amateur set photos and the polished final product? How could movie productions do their job so well? Director David F. Sandberg has an explanation. Making suits is hard. Like painting a room you can look at little swatches all day but you won’t really see the effect until it’s done. The color of the finished suit didn’t look quite as expected in some lights (particularly daylight) which is on me since I decided to change fabric very late in prep and there wasn’t time for as many tests. I figured we’d just have to tweak it in post. The first image released though unfortunately didn’t have any post production done to it. That was right as we were putting the trailer together. I figured since that image was out there perhaps we shouldn’t stray too far from it in the trailer. Might be confusing. This image is closer to what I’m going for, but it’s all still a work in progress and we’ll see where we end up. No images (or the trailer) have the finished bolt effect either (it’s not going to be an extreme effect or anything but it’s not just a simple glow). It’s no surprise that a superhero suit will undergo changes from the set to the silver screen. There have to be CGI effects and digital touch-ups added to make it look as super as possible. 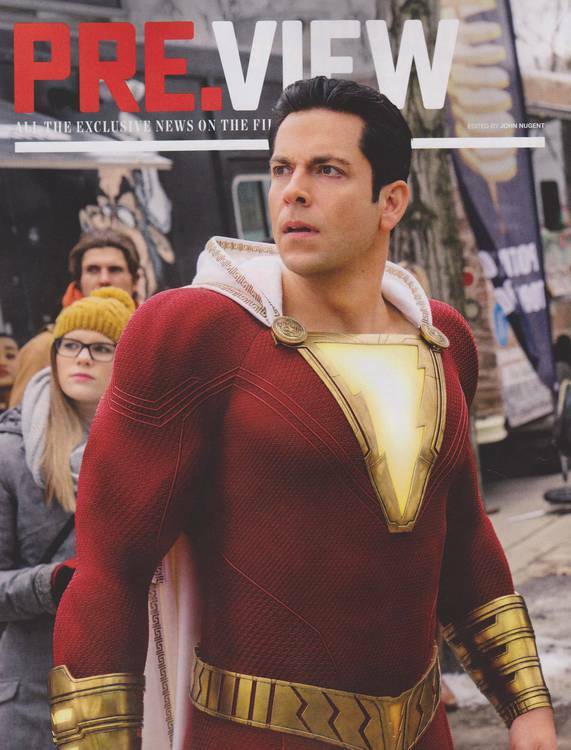 The days of simple spandex and lycra are gone as fans raise their expectations for the live-action versions of their favorite super suits — even for a throwback costume like Shazam’s. Comic Book/Superhero, Warner Brothers, David F. Sandberg, Shazam!